One of the world's largest Celtic Festivals. 35 pipe bands. World Championship Heavy Events + Amateur, Woman's & Maters Invitational. Western Highland Dancing Championships. Bust out of the hen house for a night of fun with the Southern Fried Chicks in a �Cage-Free Comedy Tour!� Four of the funniest ladies anywhere deliver free-range comic stories, music, singing, and dancing, in a multimedia show sure to fill the house with side-splitting laughter. The four Chicks made their debut on Country Music Television and have since packed venues across the country, poking fun at life and love in the USA. Join in the laughs with: Etta May, American Comedy Award�s �Comic of the Year� described as �Minnie Pearl with a migraine,� Karen Mills, a regular on Sirius Radio whose song �Menopause Rap� is a top iTunes download, Sonya White, whose combination of southern charm and big city street smarts wins laughs for her dead-on impersonations and Cartoon Network voices, and Trish Suhr, a famed Yard Sale Diva from �Clean House� who delivers expert advice and wisecracks with hilarious downhome style. On Sunday of Labor Day Weekend, over 35 wineries celebrate the exciting crush season. Each winery hosts activities including wine tasting, arts, crafts and music. Wine lovers have come from all over the Bay Area and beyond for the past 30 years to enjoy this unique event. The 2018 Harvest Wine Celebration is a one day event, but you can make it a two day experience. Many wineries honor wristbands, have additional special activities, and are open on Monday. Admission: $40 in advance, $45 day of. One of the most distinctive voices in American pop music, BJ Thomas� hits include his Grammy Hall of Fame winning �Raindrops Keep Falling on My Head,� as well as �Hooked on a Feeling,� and �(Hey Won�t You Play) Another Somebody Done Somebody Wrong Song.� Accompanied by the Livermore-Amador Symphony, he will perform chart-topping hits from across his career at the �Brilliance at the Bankhead� gala. In his relaxed and intimate performances, world-renowned guitarist Ottmar Liebert melds rich and sensual sounds from the jazz, pop and world music genres into his own innovative, nouveau flamenco style. The City of Livermore invites you to celebrate Livermore Baseball. The 2018 Intermediate 50/70 Baseball World Series US Champions. Join us for sweet treats immediately following the program. Livermore Baseball is a team consisting of Granada Little League and Livermore Little League players. New York New York is a wonderful town for US Navy sailors Gabey (Gene Kelly), Chip (Frank Sinatra) and Ozzie (Jules Munshin.) Free in the big city for a 24-hour shore leave, they want to see all the sights � especially girls � and make every second count! Their adventures as they sing, dance and enjoy the city are filled with fun, love and laughter. With an Academy Award-winning musical score including the familiar title song and �New York New York,� the film was directed by Gene Kelly and shot in part on location, bringing the era to life. Now celebrating their 25th anniversary, Big Bad Voodoo Daddy continues to deliver their unique fusion of classic American sounds, blending music from the jazz, swing, Dixieland and big-band traditions for an irresistible night of pure musicianship and fun. Known for launching legends such as Robin Williams, Ellen DeGeneres and Dana Carvey, this fierce comedy competition keeps audiences on the edge of their seats � until they�re rolling in the aisles with laughter. It�s Dramatic! The Bankhead Theater Gallery presents an exhibition of the dramatic. The distinctive voice of rising star Andrew Kahrs is celebrating the legacy of Glen Campbell in a salute to the songs of this contemporary music legend with hits including Gentle On My Mind, Galveston, Wichita Lineman, By The Time I Get To Phoenix, Rhinestone Cowboy and many more favorite classics. On an ordinary day in a routine life, Ralph decides to take another path on his daily walk, one that leads him to an unexpected chance at love. Encore Players proudly presents �The Last Romance�, by Joe DiPietro. Featuring the talents of Bruce Kaplan, Marsha Howard, Pat Goard and Zach Simon, under the direction of Martie Muldoon. This bittersweet romance looks at the meaning of love through the relationships between octogenarian Ralph, his reluctant lady-friend Carol, and his jealous sister Rose. �The Last Romance� is a heart-warming story about the transformative power of love. 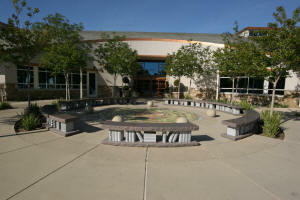 Livermore Valley Performing Arts Center will host its third annual Native American Day on the plaza outside the theater. The family friendly event for all ages, offered in association with Livermore�s American Indian Center, will include demonstrations of tipi building, dancing and singing, as well as artifacts, crafts and food. This is the third year the free, family-oriented Native American Day has been held on the Bankhead Plaza. It is sponsored by LVPAC and presented with the assistance of Mary Puthoff of the Native American Center in Livermore. A program specialist within the Livermore school district, Mary has worked for more than four decades to preserve and share the cultural traditions of the tribes from this area � the Ohlone, Miwok and Yokuts � with students and adults in the Tri-Valley and beyond. The Black Market Trust is an American pop/vocal jazz band that combines the sounds of the great American crooners and vocal groups with the romantic Eastern European gypsy fire of jazz guitarist Django Reinhardt. Consisting of five world class musicians who have traveled the globe recording and performing on the world�s biggest stages and with music�s most renowned artists, The Black Market Trust capitalize on their experience and pedigree to deliver a new and exciting sound to tried and true classic songs. BACK WITH A NEW LOCATION on the Fairgrounds. Mark yo' calendars and tag yo' friends for food, games, art, shopping and performances! Bring out the squad to enjoy the cool nights and take pics of food for the 'gram, find the perfect gift from merch and crafts vendors or commission a special piece by a local artist at our Art Walk. Mozart ushered in a new era in music history with this first of his operatic masterpieces. It tells of the rescue of the young Spaniard Konstanze and her English maid Blonchen by their fianc�s Belmonte and Pedrillo from the Ottoman Palace of Pasha Selim and his ferocious henchman, Osmin. Mozart transcends the popular �Turkish Music� fashion of the time with an opera of great emotional depth, combined with lighthearted scenes of hilarious comedy. Virtuoso singing and brilliant orchestration previously unheard in Vienna prompted Emperor Joseph II (of movie Amadeus fame) to exclaim �Too many notes!� Sung in German with English dialogue and supertitles. One Night, Three Women, Too Funny! The Bothwell Arts Center is proud to present �One Night, Three Women, Too Funny� comedy fundraiser event starring local comedians Regina Stoops, Stacey Gustafson and Margaret Zhao. For twenty eight years the club has held its Nostalgia Day Car Show on the streets of downtown Livermore, where the show has grown to display 600+ muscle cars, street rods, custom and classic cars and draws over 10,000 spectators annually. Our motto has always been "Cruisers Against Drugs", and our annual Nostalgia Day Car Show has allowed us to prove that we mean it. To date, this fundraiser has enabled us to donate over $480,000 for local organizations that promote the Tri-Valley youth, help strengthen their families and help keep kids off drugs & alcohol. Before she was the First Lady of Song, Ella Fitzgerald was a young girl with a dream and determination. Noted jazz/cabaret chanteuse Amanda King, a vivacious and captivating entertainer, shares Ella�s origins, inspiration and early music in a swingin� evening of song and history celebrating the legend. The show will feature many of Ella�s classic songs including Bei Mir Bist Du Schoen, Take the A Train, Caravan, A-Tisket, A-Tasket, Mack The Knife, Someone To Watch Over Me and many more favorites.